Very nice smell, not leaving any marks on the clothes,100% effective reduction in any odor, only as an anti-perspirant it´s not 100% effective. After promise of a high quality product I found it actually worked quite badly in relation to the price. I don't believe it's worth it for the smell or the anti-perspirant part. Really does stop sweat/odour in it's tracks and smells great. Ok, it is expensive but in my opinion more than makes up for it with sheer quality. This is the best on the market for men right now. Great smelling product that lasts well. Unfortunately, it leaves underarm stains on my work shirts so that really lets it down. To be fair, I have yet to use an antiperspirant that doesn't stain over time so it's not hugely surprising. I'm sticking to my Anthony deodorant stick for now. A Man's Essential for all day BO free pits! 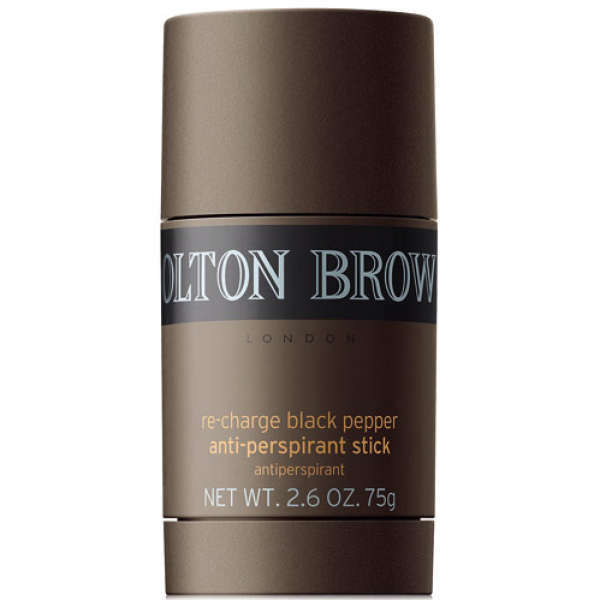 This Black Pepper Anti-Perspirant Stick is a superb deodorant with it's distinctive Black Pepper scent that lasts all day long and the stick will last me 6 months on average, Highly Recommended! 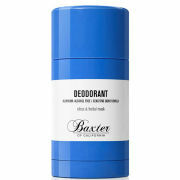 The Black Pepper Anti-Perspirant Stick is a great smelling product that lasts for a long time too! I'll definitely be buying it again. This Black Pepper Anti-Perspirant Stick is another first class product from Molton Brown. It applies smoothly and evenly and maintains a decent odour throughout the day. I can even still smell it after a full twelve hour shift! Great value for money. This Molton Brown Black Pepper stick is fantastic, smells great and works really well. This item was picked up as an afterthought. Am I glad I did! As a weighty man I perspire quite heavily following strenuous activity so have worked my way through a number of brands with differing degrees of success. The MB packaging is weighty and secure - meaning it won't get damaged in the bottom of a gym bag. The texture is different to some other sticks I have used; It's firmer and less powdery, however glides on smoothly and easily. The small 'head' is ergonomically designed so is easy and accurate to apply. 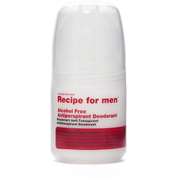 As an antiperspirant the performance is impressive, easily lasting up to 48hours on me. All in all this product excels on design/ manufacture, scent and performance. The Black Pepper Anti-Perspirant Stick 75g is a natural, pleasant smelling anti-perspirant which lasts all day. You can certainly get the aroma of black pepper, which is a key ingredient, and it has a strong and fresh scent. It has a paste-like texture to it when it goes on but it doesn't ruin any black, or dark coloured clothing with white streaks as some stick anti-perspirants can. Whilst it is a very efffective anti-perspirant deodorant, the only slight issue I have with it is it takes a bit of scrubbing in the shower to remove it at the end of the day, but it's a great product. Other reviews have suggested this Black Pepper Anti-Perspirant Stick is weak smelling but I found it completely the opposite, can sometimes smell this over my aftershave it is very strong. It works too. I've only 4 stars as it can be a bit chalky. Does the job and smells nice. Does the job, and has a good fragrance which lasts the day. Like all Molton Brown products it works. Smells great and lasts all day. Highly recommended. I was disappointed that this product had only a faint smell of black pepper recharge. Even more disappointed that it contained aluminium and talc, neither of which are declared on the Mankind (or Molton Brown) websites. Even if one disregards possible health risks of aluminium, the inclusion of an aluminium salt and talc can lead to white marks on clothing, especially dark clothes. These marks are difficult to remove. Had I known about the presence of these ingredients I would not have bought the product. WOW, this is amazing. especially if you love black pepper body wash. it has that lovely black pepper smell which lasts quite a while. i have never used a anti-perspirant stick before so i was a little skeptic but it works great. ditched the spray for this. What can I say? It just works like most Molton Brown products, it lasts all day when I take my shirt off after work I can still smell it.